PC Security - PC Buyer Beware! PC security: How to protect computers from hackers, ransomware, viruses, Trojans, malware, phishing scams, etc. This section of this website consists of several pages, listed under CONTENTS below, that deal in-depth with PC security. By reading this article all the way through, you will be provided with all of the information you need to keep your personal information and your desktop and laptop computers secure. The criminal hackers who are after your personal details, website user names, passwords, etc., in order to be able to help themselves to your money or use your accounts, are having to develop ever-more ingenious ways of fooling users into providing them. Therefore, PC security is something that all computer users who go online have to keep themselves constantly informed of – that is, of the latest developments with regard to both the latest protective measures and the latest criminal tricks being employed. The latest developing threat is dangerous malware called Ransomware. POST: Does using a Virtual Private Network (VPN) protect your privacy from hackers and legal invasions such as the UK Snoopers Charter? POST: Samsung updates – Does Samsung update all of its Android phones and tablets to the latest version? 1. – UK Phone companies to end bank text scams – December 10, 2018. TIP – Malware scanners: I have installed Avast Free Antivirus on several computers and use it myself. The free versions of Avira and Bitdefender are good. Note that only the paid-for versions provide protection against ransomware. Only ever trust security warnings that are produced from the System Tray/ Notification Area in Windows. Even if a security warning seems to be produced outside that area by the anti-virus program that you use, don’t click on any message that comes up, not even a Cancel button, shut the web browser down immediately by pressing the Ctrl+Alt+Del key combination that provides access to or brings up the Windows Task Manager, which allows you to terminate any running program. 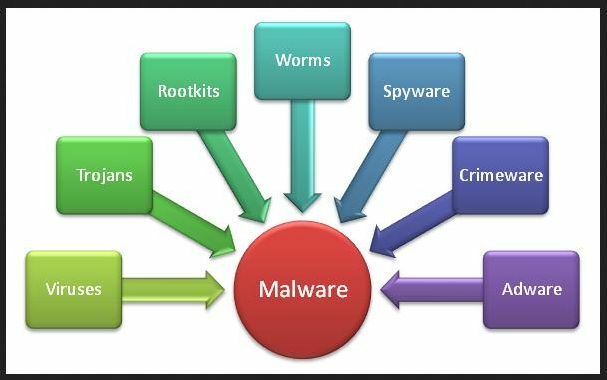 Hackers know that many people use the free malware (malicious software) scanners so if they create a message or presentation that seems to have been produced by the one they use, they will trust it and initiate a fake system scan that delivers real malware. It’s also good insurance to create a master image of your system on a regular basis, which the Backup and Restore tool in Windows 7/8.1/10 can all do, and save it to an external hard disk drive that you should keep disconnected from your computer to protect it from a virus infection and in case of destructive electrical spikes or lightning strikes. For the backup and imaging provided by Windows 8.1 and 10 be aware that Microsoft wants out of taking business from the backup companies and so made the backup feature in Windows 8.0/10, which is the same as Windows 7, difficult to find. Visit Backup Methods: How to Make Restorable Backups and System Images on this website for detailed information about how to create backups and use online storage services. If you apply the PC security measures provided on the pages of this article, you shouldn’t experience any security-related problems, and, if you do, you’ll know how to fix them. It is imperative that you keep any kind of computer running Windows (or any other operating system) fully updated with the latest security updates. When run, the Belarc Advisor, under FREE DOWNLOAD on belarc.com, tells you if your computer has all of the available updates installed. It also provides a System Security Status report that gives your computer a security rating out of 10, created by the benchmark tests of the Center for Internet Security (CIS), which is at cisecurity.org. Smartphones and tablets are now small mobile personal computers that can be infected by virus and other malware infections in the same ways as desktop and laptop PCs. You can be caught out by scams or infected by malware when using a smartphone in exactly the same ways as any other computer usage. Google’s Android is now the most commonly used smartphone operating system that is now being targeted by cyber criminals. Google also logs all of the information that your phone company logs via its Android operating system and uses the information and information it has gathered on you from your use of its services to serve you with customised ads. I personally find that an unacceptable invasion of my privacy, so I only use a standard mobile phone that can’t access the web. If I had to buy a smartphone, I would get an iPhone or a Windows phone, because with those only your phone company logs your calls and web browsing history. I personally would never use a smartphone to access bank accounts, PayPal, Amazon or any other website that holds data on you, such as your credit card number. Some smartphones have found to be pre-installed with fake apps such as faked Netflix apps. I only do that from a home computer connected to the web with a wired, not a wireless connection, with private browsing enabled – all of the main browsers provide it and it has to be enabled every time you open the browser – and my router’s hardware firewall enabled. Better still, only access banking websites using a Linux boot disc. If you download the Ubuntu Linux ISO-file installation file, for example, it can boot a PC from a DVD disc it is burned to as if it were installed and access the web using its Firefox browser. Remember that the PC’s BIOS has to be set to boot first from the DVD drive to boot from a disc. If no disc is detected it boots from the next device in the boot order, usually the hard drive. Most web connections are now provided by a wireless router around which a home network, which could consist of wireless and wired computers – desktops, laptops, tablets and smartphones – are connected.